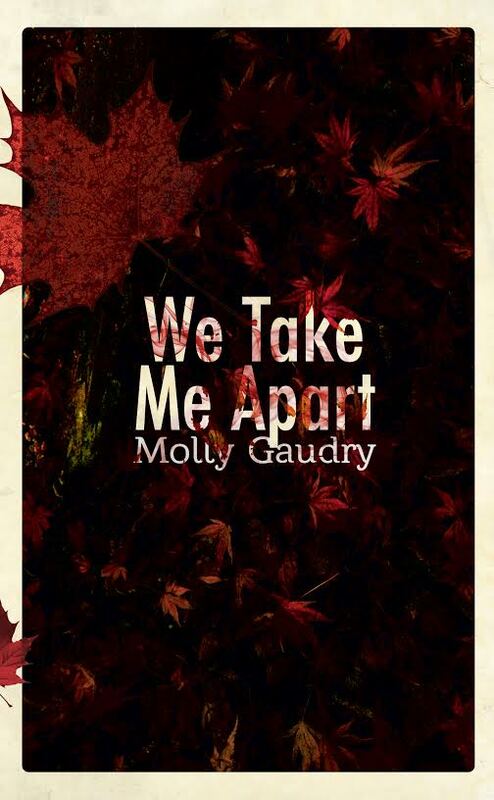 Molly Gaudry is the author of the verse novel We Take Me Apart, which was shortlisted for the 2011 PEN/Joyce Osterweil and named 2nd finalist for the Asian American Literary Award for Poetry. 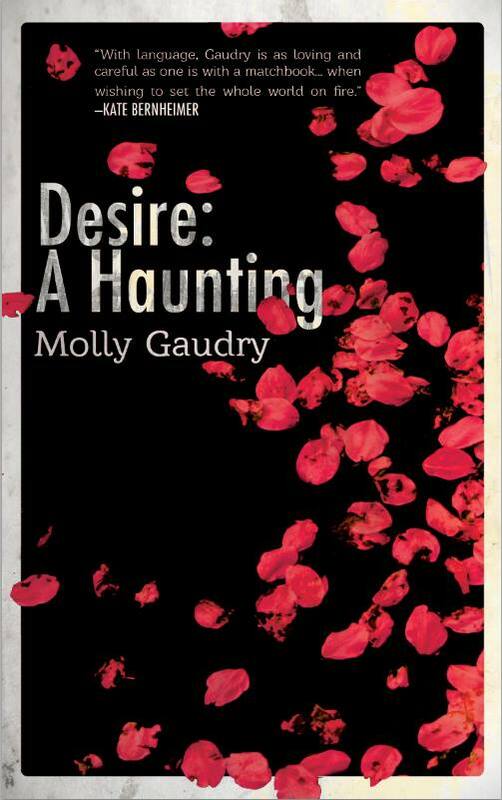 In 2015, Ampersand Books will release its sequel, Desire: A Haunting. 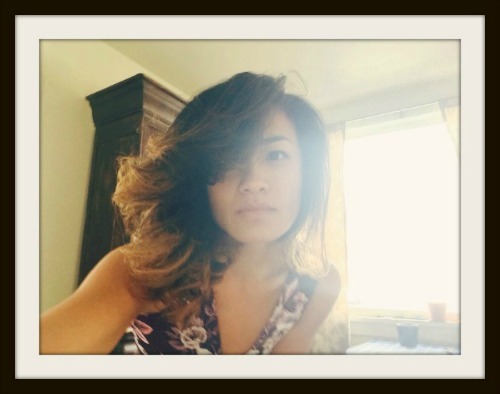 She is the creative director at The Lit Pub and a resident faculty member of the Yale Writers’ Conference. Some of my earliest stories were written in crayon on heavy construction paper. Perhaps that is how I got my start, with the feel of that rough, yet soft, paper in my hands. Do you remember how difficult it was to fold construction paper into a perfect crease? Or how fluffy the edges were when you pulled and tore the paper in two? I don’t know why I’m thinking of this now, except to say I’ve had many starts and that is one. Another: at the School for Creative and Performing Arts, where I declared creative writing my high school major. 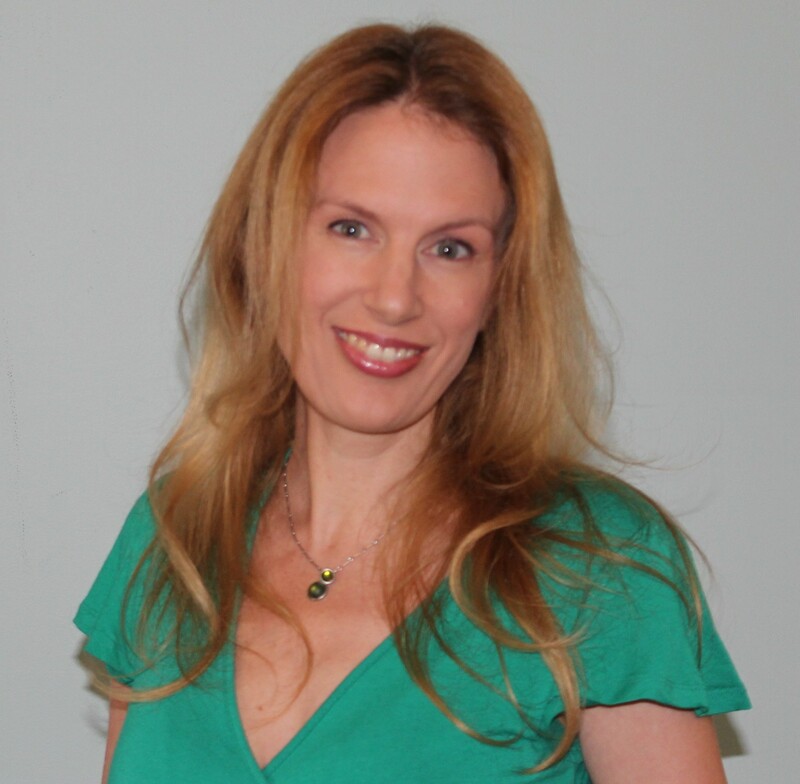 Another: at the University of Cincinnati, where I earned my BA in English, MA in fiction. Another: that day in my room-for-rent in South Philly, when I began the manuscript that would become my first book, We Take Me Apart. And another: at George Mason University, where I turned to poetry for my MFA. And most recently: at the University of Utah, where I’ve just about completed coursework towards my PhD. These programs, these communities, have been my sanctuaries. It’s nice to think about how each, in its own way, launched me into new creative spaces, new beginnings, and to recall the very wonderful people who helped buoy me through difficult times. No matter how far along I may end up, I bet I’ll always feel like that little girl at the table with a crayon in her hand, wondering which word goes next—each word a beginning. Desire: A Haunting (the sequel to We Take Me Apart) will be available in 2015 from Ampersand Books. It is a ghost story, and the ghost is Pearl from The Scarlet Letter. It is an erasure, a retelling, a different version of We Take Me Apart. It is a 250-page love poem. Coincidentally, I was just asked to describe my work space for Prime Number as well. I went into detail there about how it isn’t the work space I care about so much as the space one must make to do the work. That said, I wrote the first draft of Desire: A Haunting at my desk in a 2nd-floor room overlooking a grassy courtyard with a bench that, at night, was lit by a streetlamp. Something about the small circle of light that lamp cast over the bench, which no one sat on, contributed to the loneliness that set the tone for that first draft. I moved out of that townhouse in Virginia and into an apartment in an old Victorian mansion in Salt Lake City. In the late summer, I sat on my front porch and edited those pages, looking up occasionally when another fat cherry fell and splattered dark red, like blood, all over our sidewalk and porch steps. As summer turned to fall, the air grew damp and cold. I wrapped myself in blankets. I made pots upon pots of coffee, boiled gallons of water for Earl Grey with honey and milk. I smoked a cigarillo or two, and I edited. I edited all winter: on my couch with the space heater near; at my desk in my bedroom; on campus, between classes; in my head, at red lights. I wish I could describe a typical day; I’d love to be on a consistent schedule. In a perfect world, I’d take and teach evening classes, go home, eat dinner, make coffee or tea, and then write all night, sometimes until 5 or 6AM, sometimes until noon. Then I’d sleep until 3 or so, and do it all over again. That was my schedule when I wrote We Take Me Apart. It was wonderful. These days, I’ve got too many real-world responsibilities, and sadly the “real world” operates mostly from 9-5 (and being on Mountain Time I’m already two hours behind when I wake in the morning). I dislike being an early bird, worrying all the time. I miss being a night owl, alone with the moon, words coming together like magic, like stars, like myths. I need constraints. The most productive one for me is to collect the nouns from either a short story or poetry collection, retype them, cut them up, pour them into a jar, shake like hell, and start pulling them out, one by one, to make lists of words, usually ten words per list. Every day, when I’m working on a manuscript (usually in the spring), I try to finish a few more lists. By finish, I mean: one list = one poem. And the poem must use the words in the order they were pulled. If I finish three lists, I have three new poems (which, later, during revision, become chapters). There is no logical answer to this. There is no answer that will not make me seem abnormal. I write, sure, but at the same time the writing itself gathers force like some kind of unnatural disaster. It just happens. I can’t accurately forecast it, I can’t prevent it, I can’t stop it in its path. Sometimes I emerge unharmed, no real damage done. Other times, all I can do is pick up the pieces. Put them together. Tell myself to keep going. Fear the next big boom. Emotional or physical, ruin is ruin. Love and forgiveness. Aching. Sorrow. Healing. I’m not an every-day writer. I do not sit down every day at some hour on the dot and begin to work. I rest, a lot. I let life fester, ferment, and sometimes I get lucky. Sometimes (more often than not, upon the arrival of the daffodils), I get a few words down—words not mine, not even the writers’ whose books I took them from. If lucky, I manage to string them together with other words. I journal, obsessively, upon waking: Has the goal for today’s work changed since last night? If so, why? Who is the heart of that why? If not, what’s at the heart of that why? Then I put down new words for several hours. I break to journal. This is not going well. Why? Start over? What is the heart of these new words? Is it on the page? If not, how to get it there? How to make the heart sing? I return to the page. I put down new words for several more hours. I break to eat, to make more coffee or tea, to bathe or go to bed. Before I sleep, I journal: What went well today? What’s the goal for tomorrow? This is the hardest part, for me, of being a writer: allowing it to happen, interrogating it ruthlessly, daily, nightly, hour after hour. Getting it down. Letting it out. Sharing it. I’m going to borrow an answer I gave in another Q&A a while back because it stands true today: I wish someone had told me to not worry so much about finding my “voice”—a writer’s voice takes time to develop and it must be informed by all the voices that have come before, so read the greats, read the terribles, read the in-betweens, read the television and the movies and the magazines, read the labels and logos on clothing and the advertisements on the sides of buses and the graffiti on street signs and the fine print at the bottom of everything, read the invisible ink, read the age lines and the expressions on people’s faces, read their gestures, read what they don’t say but manage to communicate anyway, read everything, read it all, read it all and filter it through your pen or pencil or typing fingers and watch, watch how it emerges as yours. To be allowed the privilege—and it’s undeniably a privilege—to continue writing. To keep enjoying this writer’s life. To get better and better with every book. To write those books at all. To win some things. To be allowed the privilege to continue teaching, to get better and better, until The End. Marguerite Duras, Anne Carson, Jeanette Winterson, Carole Maso, Kate Bernheimer, Lydia Millet, Lydia Davis, Lidia Yuknavitch, Margery Sharp, Kathy Fish, Claudia Smith, Claudia Rankine, Maggie Nelson, Sarah Manguso, Kristina Marie Darling, Mary Ruefle, the list goes on and on. All of the above (with the exceptions of Duras and Sharp, as they are no longer with us).